Indoor high resolution color dome camera with IR and a mechanical infrared filter. 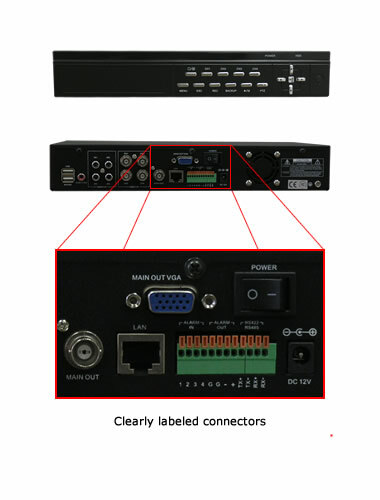 Network IP transmitter and video encoder. 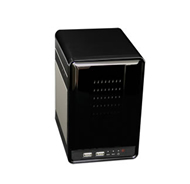 The GPRO4 is a sophisticated 4-channel security DVR priced for budget security systems. It uses advanced H264 video compression to create REAL TIME high quality video images and can export video clips in AVI, MPEG4 and H264 native format and has an audio channel for each camera channel. The MAX-GPRO4 is easy to set up and program and makes a great addition to any network. It uses a simple on-screen display menu for all functions. It uses TCP/IP, DHCP, DDNS and PPoE. All of these features and more make this DVR a welcome addition to any surveillance network.